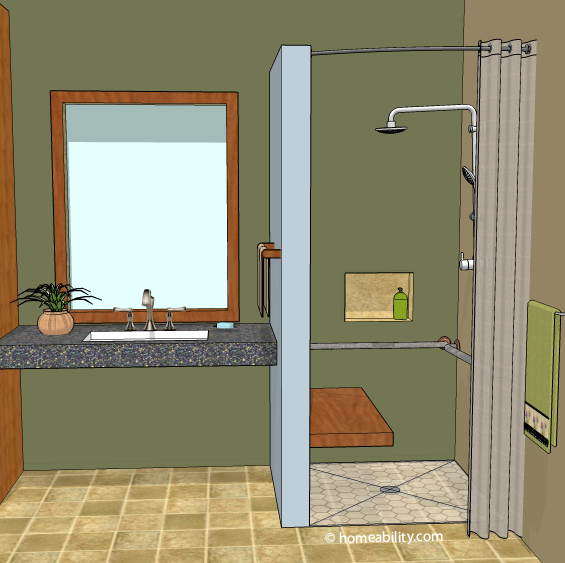 A commonly raised concern when installing a curbless, barrier-free shower stall is how to prevent the water from escaping the shower stall. 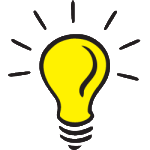 This can be accomplished using one or more of the following strategies. Slope the Floor: Sloping the shower floor slightly in the direction of the drain is both helpful and necessary to guide the water toward the drain. The slope should not exceed 1/8th -1/4th inch per foot. More than this will make it difficult for someone using a wheeled mobility device to sit level (not continually roll in the direction of the slope) while performing the shower. Install a Linear Trench Drain: Trench drains have a long, linear-shaped grate on top that rests flush with the shower floor and a trough-like channel present underneath to collect the water. 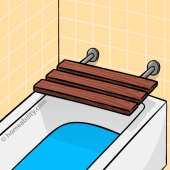 A trough drain is usually installed at the opening of the shower stall or along the floor at the back of the shower. To learn more, visit the Homeabilty Trench Drain Guide. Install a Collapsible Rubber Threshold: A collapsible rubber threshold (aka a water dam) can be placed along the front edge of the shower stall. The rubber threshold collapses down when the wheels of a walker or wheelchair roll over it, making it easy for a person using a wheeled mobility device to enter and exit and then it immediately pops back up afterwards to help prevent the water from escaping. To learn more, visit the Homeability Water Dam Guide. Install a Long, Weighted Shower Curtain: Select a weighted shower curtain (these typically have small magnets sewn along the bottom edge) or alternatively a shower curtain that is made out of a heavier material. 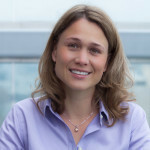 Pick the curtain in a length that nearly touches the floor, but does not drag on the floor, because mildew will be more likely to build in the folds. 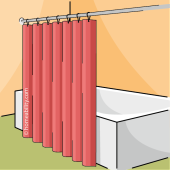 To learn more, visit the Homeability guide on Accessible Shower Curtains. 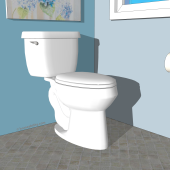 Install Shower Corner Splash Guards: These are water stoppers that are placed in the corners at the juncture between the wall and the floor on either side of the shower stall opening. They help prevent the water from leaking out at the corners. They are usually triangular in shape and get glued or attached with self-adhesive strips. Install Shower Curtain Splash Guards: This type of splash guard gets attached to the shower curtain’s hooks or rings and is designed to hold the shower curtain more flush against the wall in order to help prevent water from escaping out from between the end of the shower curtain and the wall. Install Shower Splash Clips: Shower clips get applied to the shower wall using a self-adhesive strip. 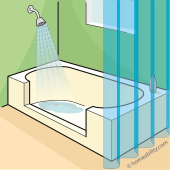 When the shower curtain is closed, the ends of the curtain get tucked into the clips to help hold the shower curtain more flush against the wall, helping to prevent the water from escaping between the ends of the shower curtain and the wall. Install a Shower Door: An alternative to installing a shower curtain is to install a frameless glass door at the entrance to the shower. While this does tend to be a very effective means of containing the water, it is important to be aware that glass shower doors (even those marked as shatterproof) have a documented history of exploding spontaneously if they are not designed or installed correctly, so there is some inherent safety risk associated with using a glass shower door. Examples of frameless shower doors are shown below. In general, from a water-containment perspective, a shower door will usually contain the water better than a shower curtain. If someone in the home uses a walker or wheelchair, however, or anticipates needing to use one in the near future, then from an ease-of-use standpoint a shower curtain is typically preferable to a shower door because it requires less tricky maneuvering for a person to enter and exit the shower. Why is a shower curtain easier to manage for most people who use a walker or wheelchair? A shower door (one that swings outwards) requires a person using a mobility aid to approach the door and grasp the handle, then move backwards out of the way far enough to allow the door to swing clear past both themselves and the mobility aid. Most bathrooms are limited on space, so trying to get a walker or a wheelchair out of the path of the door swing can be difficult. In addition to this, walking backwards is not safe for a person who uses a walker and likewise trying to pull a door open while simultaneously moving a wheelchair backwards is not easy for many wheelchair users to do. A curtain on the other hand simply requires a user to brush the curtain aside and enter. If the shower stall and drainage system are carefully designed and water containment solutions are implemented (as described above), then a shower curtain can be equally as effective as a shower door in retaining the water inside the shower stall. 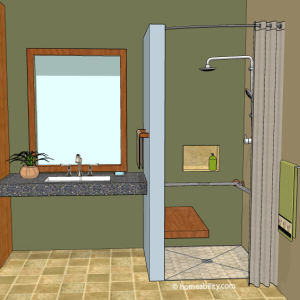 In a large shower stall the combination of a sloped floor, trench drain or rubber water dam and a shower curtain will often be adequate to contain the water inside the shower stall. In a smaller shower stall, a combination of multiple strategies from the list above will need to be utilized, which could potentially include: a sloped floor, trench drain, water dam along the outer edge of the drain, weighted shower curtain, and one or more of the splash guards. If you are designing the shower for Aging-in-Place needs and you plan to install a shower curtain, visit the shower curtain guide and the shower curtain rod guide for tips on picking the best type of shower curtain and shower rod for your specific needs. Accessible Bathtubs! An Amazing Diversity!